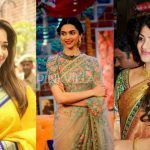 Sarees are favorites of all women and when it comes any cultural program you must wear saree that are available in several saree designs that really provide great look to you. 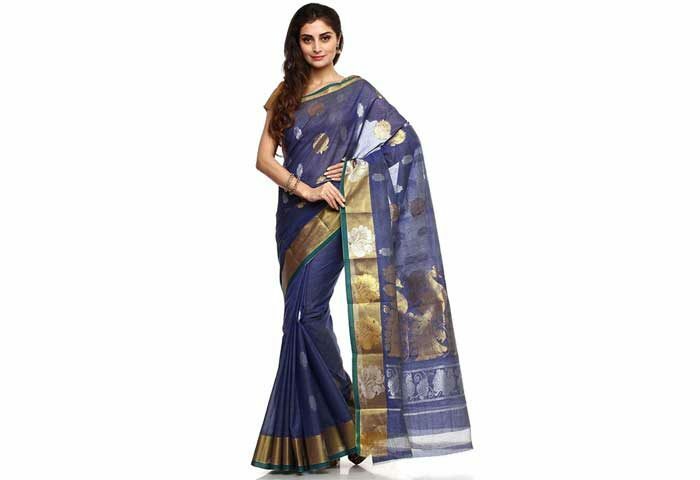 Fashionable sarees with trendy designs that you can buy for you as well as not only this while sarees what you are looking for you will sure get it like silk sarees, banarasi sarees, taant sarees, and more. 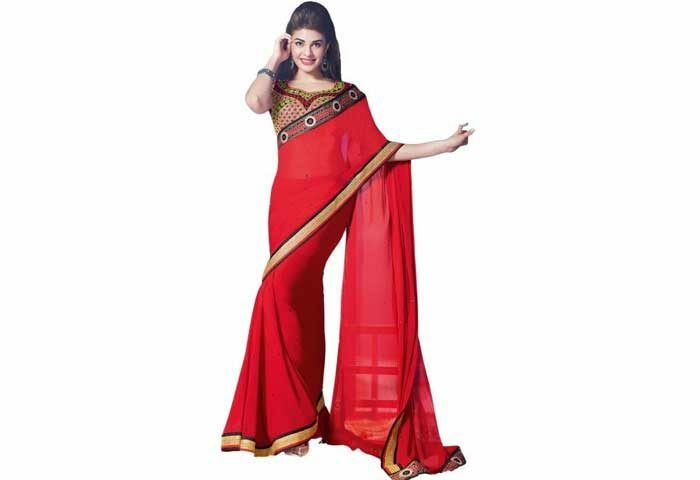 These are sarees name that wonderfully show your great personality as well as your right attitude. Now it is the right way to choose saree according to you. What sarees you love to wear here few famous names of sarees you will come to know about them. Even, when we discuss about the saress so, each saree has own taste of the state that depicts the state’s glances. When it is about the sarees in North India multiple varieties are available there. Some of the most popular North Indian sarees such as shikargarh brocade, tanchoi, tissues, and amru brocade. The tissue sarees are crafted with the optimum silk yarn. Next is about the Jamawar sarees, that is exactly belongs to UP or Uttar Pradesh, it is designed with the zari yarn stitching process that provides complete fashion when you wear these sarees. 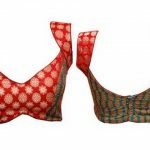 Another finest sarees includes Jamawars designed with jacquard interlace that is woven in intense bright colors like orange, red, and green. Next is about the Organza or Organdy is most well-known sarees in Uttar Pradesh. The sarrees’ fabric is quite crystal clear. Organza sarees arre designed with embroideries that are mostly originated in Lucknow and Kanpur. One of the best known sarees from North India that includes Banaras Brocade this sari is is the best choice for wedding and other big occasion. This saree is most essential part of north Indian sarees, Banaras brocade appeared into the continuation during the Mughal era. Most of the designs are inclined by them those all include in floral and foliage designs bel and kalga. 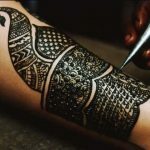 Kota is a well-known place in Rajasthan and it is quite admired for Kota Jali or Kota Darai sarees. This saree is quite transhumant and light-weight. These entire sarees are designed just in very rural and small villages nearby Kota. 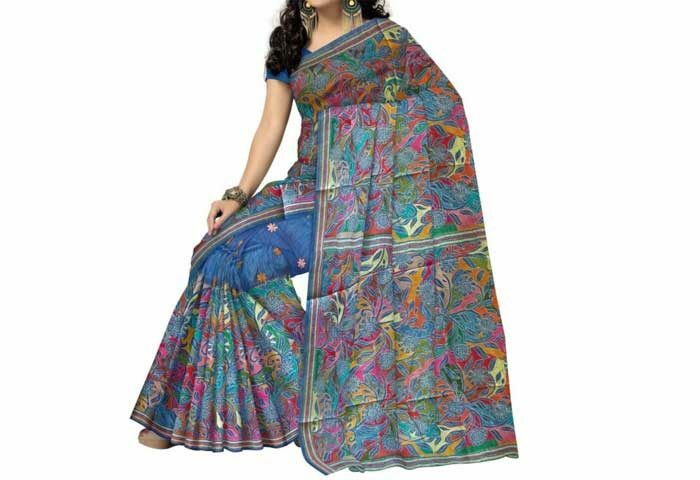 The Kota saree comes in silk that is popularly called Kota silk. There is no lacking anymore in the variety of South Indian sarees. Lots of sarees from South India that are all called Mysore crepes, Pochampallis and Puttapakshi sarees these entire South Indian sarees are wide assortments for your complete wardrobe. 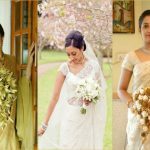 Other best and gorgeous wedding sarees choices of South Indian are Nayayanpets and Bavanjipets that are crafted with blond border on a cream support. Evergreen famous South Indian sarees are Konrad and Kacnheepuram saree. This is amazing sarees from South India that is perfect match with Southern Indian style from Tamil Nadu. This is astounding saree is also called as Temple Saree, This beautiful saree is wrapped on the Gods and Goddesses in the temple. The arresting piece about Konarad saree is the large borders that are completely based on the wedding-inspired designs and it is most essential part of its design. Several patterns are drawn on such types of sarees include elephants symbolise water and richness. This type of stunning design south Indian saree that is even most famous in worldwide. The sarees is Kanjeevaram or Kanchipuram sarees is beautifully designed with its gold hollow silver strand that is designed on the silk. This saree is perefcetly known for its superiority and of course durability, and this is saree;’s fabric is quite thicker than other silk sarees. The designs of Kanjeevaram sarees include Peacock and parrot motif. There are wide varieties of sarees from East India those all sarees are fabulous and creates attraction when you just look at them only keep staring towards those sarees. This saree has around 5 yards saree that belongs to West Bengal or Kolkata. These types of sarees are bright colors including purple, deep red, deep blue, and other intense colors are available. The sarees are exactly made of silk. The baluchari sarees are very old is about 200 year. The most interesting feature of this striking saree that represents the legend from Mahabharata and Ramayana epics. Baluchari saree is mostly designed with all tiny dots, butis, and a flower-patterned motifs. These Taant sarees which portrays as “Made on the Loom”. This beautiful saree is really awesome to and very comfortable to wear. This saree is prominent and known as Bengal cotton. The taant sarees come in different single colors with wide veil‘s borders. The Kantha saree is actually linked with the embroidery design where the sarres have no any fabric work. The sarees are arrestingly decorated with eye-catching designs with running suture. The Kantha sarees are designed with arresting motifs of floral, folk, animal and bird patterns. 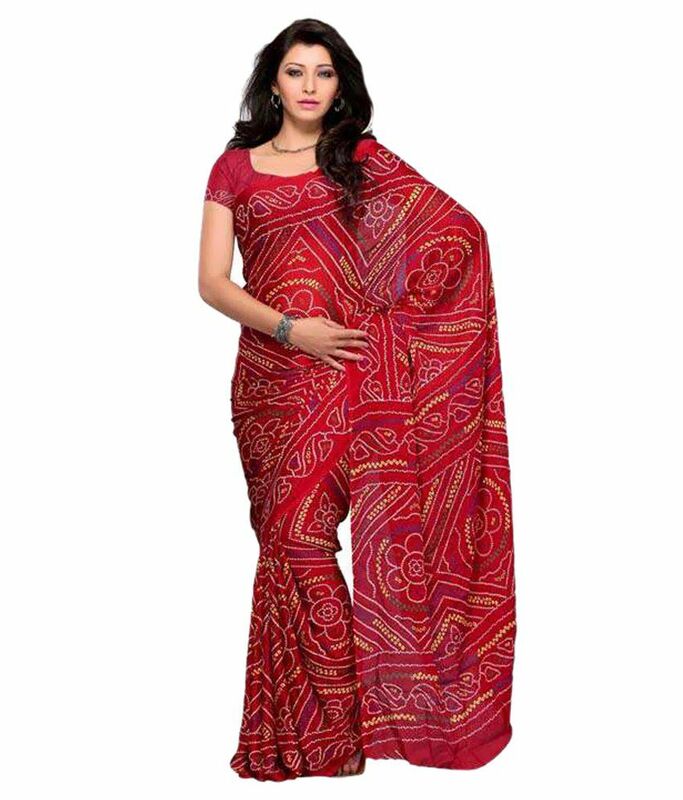 This Bomaki saree is also well-known as Sonepuri sari. This is complete exclusive saree hails from Odisha. The saree is drawn with all perfect intense colours. The Sambalpuri or ‘Ikat’ belongs from Odisha. This is original handloom saree that is available in silk, cotton and Taussor. 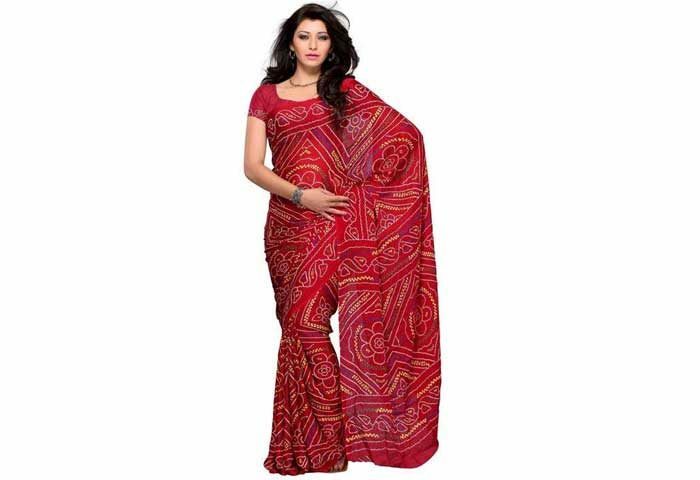 You will find all varieties of saress from West India and one of the most popular one is Bandhani Sarees. This Bandhani print saree is quite topmost and popular saree in Rajasthan and Gujarat and this saree is also known as ‘Bandhej’. The Bandhani sarees are featured with its exclusiveness, best fabric, great quality, durability, uniqueness with rich color look. In each region wearing saree style is different. 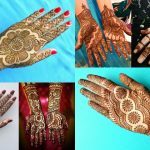 in this article we have some beautiful collection of different types of sarees and names which has fashion and trendy as per there region.